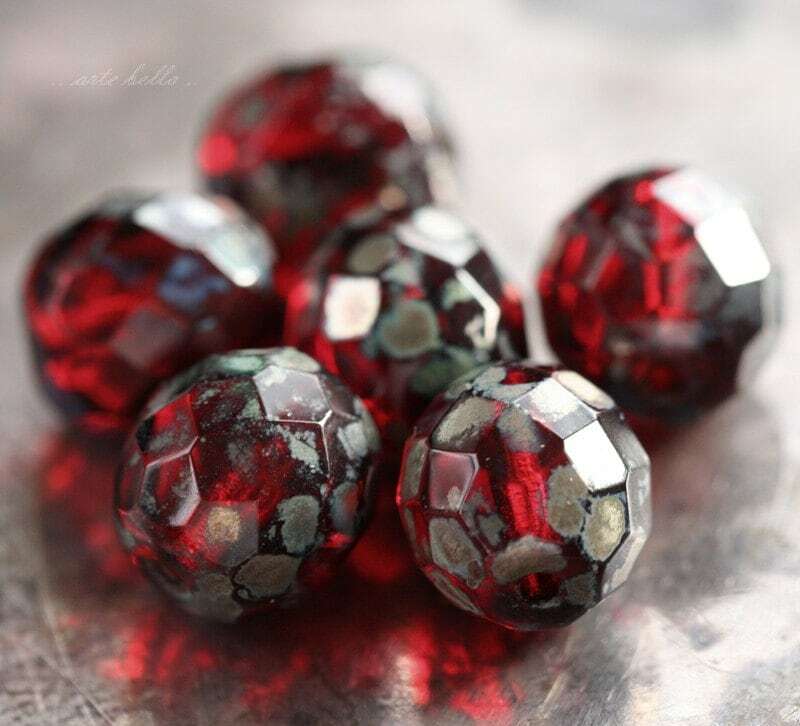 Deep dark red beauties with a beautiful metallic Picasso finish. 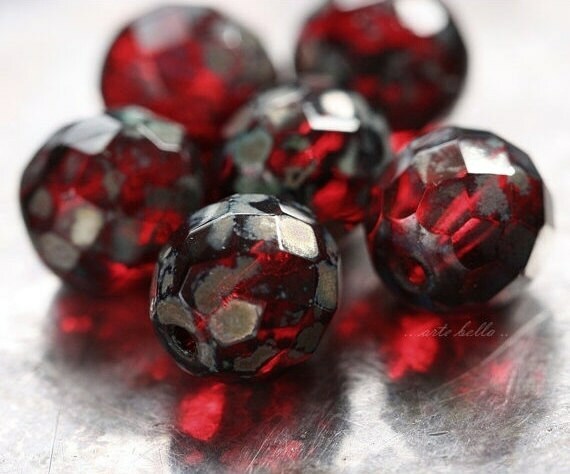 These are a darker bead until transmitted by light. So appreciative of the excellent photography. 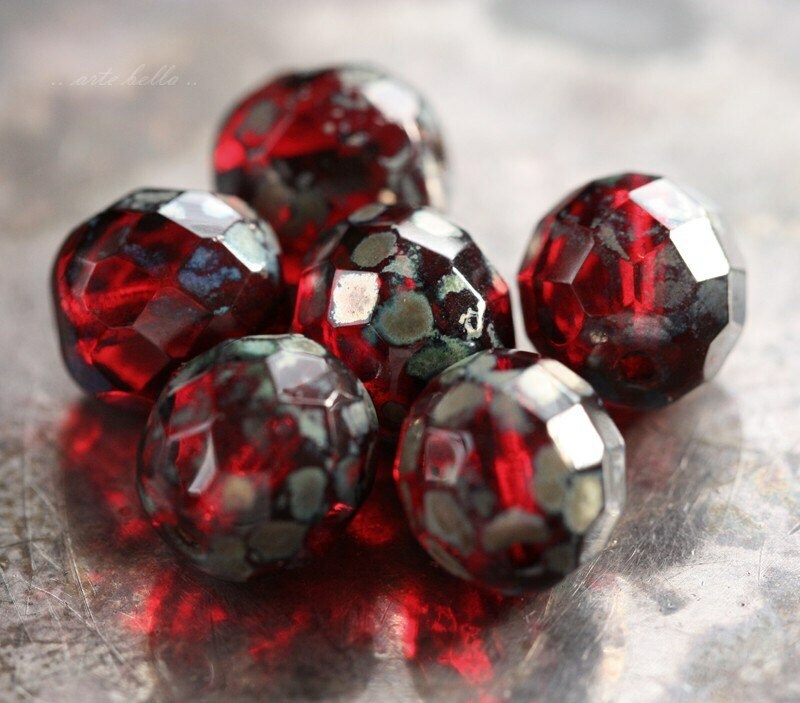 These beads are so lovely! I made some lighthouse charm earrings for my realtor friends and they loved the beads. 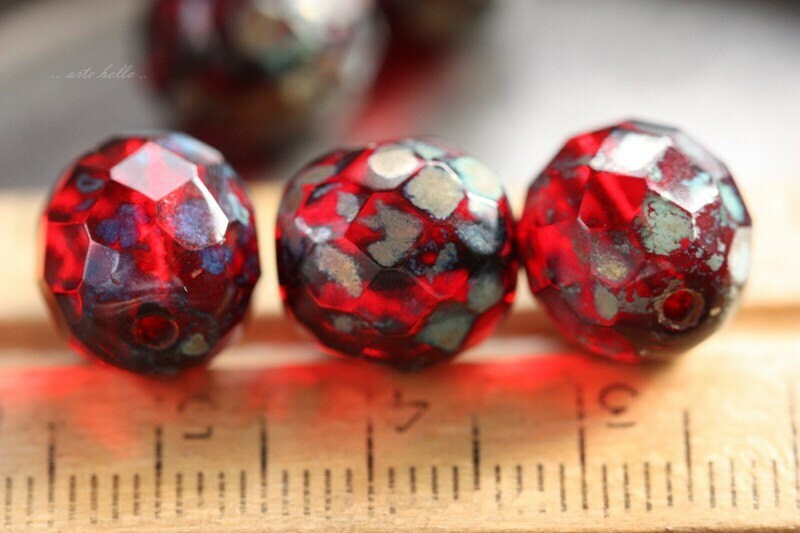 Ordered these for a custom order. 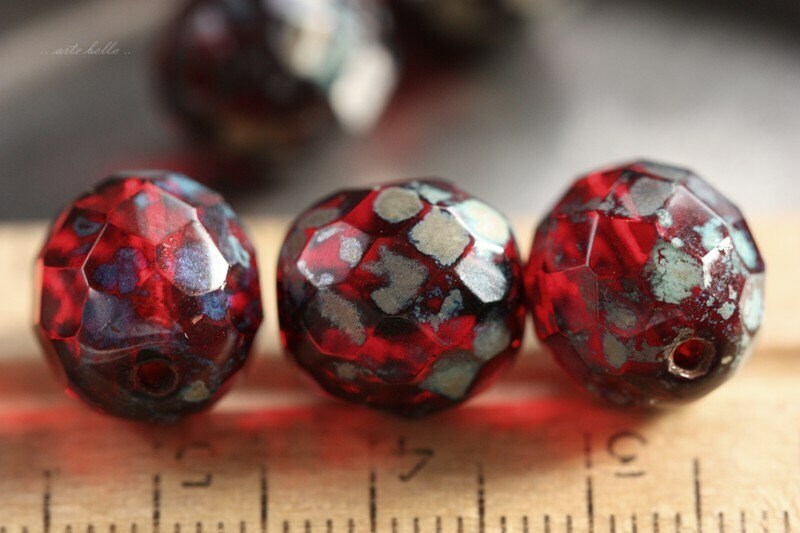 The colors reflected in this bead are so pretty.